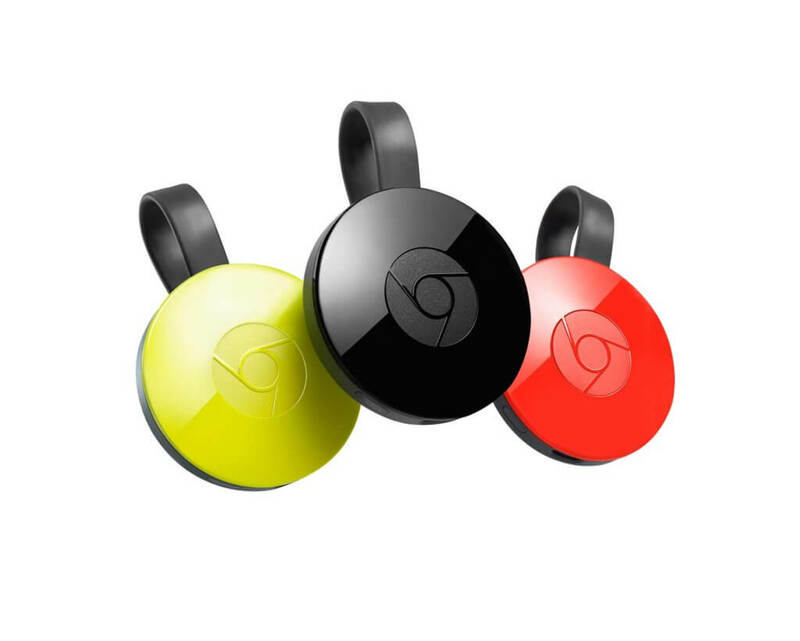 Google Chromecast is a tiny saucer-shaped device which plugs into your television and provides a means of streaming TV, movies and video to your television. Starting at a price of $35, it’s one of the most affordable TV streaming solutions on the market. The Chromecast Ultra provides support for 4K video and HDR and retails at $69. Google Chromecast is unique compared to similar streaming devices such as Roku, Apple TV and Amazon Fire TV. Unlike its competitors, Google Chromecast does not contain a user interface. Instead, it allows users to push video content from compatible smartphones, tablets, and laptops. Setting up Google Chromecast is effortless. Simply plug Google Chromecast into an HDMI port on the television. Next, supply power to Google Chromecast by connecting its micro-USB port to either a powered USB port on the television or the wall mounted USB power adapter. After supplying power, set the television’s input to Google Chromecast’s HMDI port. If Chromecast is properly installed, the television will display a setup screen. To complete the setup, an app installed on a smartphone, tablet or computer is required. On your device, open Google Play Store and install the Chromecast App. 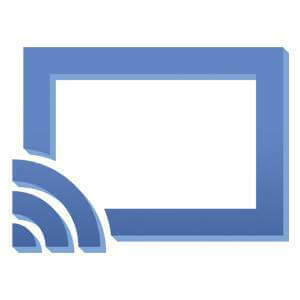 Running the app will connect your device to the Google Chromecast. Next, enter a unique name for the Chromecast along with your network’s Wi-Fi password. Once completed, Google Chromecast will work from any compatible device on the network. Google Chromecast is nearly invisible to the user. Streaming with Chromecast feels as though you’ve linked a smart device to the television. To watch video from a “cast” ready app, simply push the cast button (pictured below) from within the app. Video content from the app should now display on your television for viewing. Apps supported by Chromecast will vary by device. However, you’ll find most of the apps you want will be supported. Wikipedia keeps an up to date list of apps supported by Chromecast. Chromecast users can also stream from a PC or Laptop as well. Whether using Windows, Mac, or Chromebook, simply add the Google Cast extension to your Chrome web browser. The cast button will now appear on your browser, allowing video on your browser to play on your television. Amazon Instant Video isn’t supported through the app. However, you can use a chrome browser. Also remember that Chromecast lacks a user interface, relying on a smart device for control. This is different from other streaming devices currently available. On the other hand, if you are a techy that enjoys tinkering, Chromecast may be what you are looking for in a streaming device as there are numerous unsupported ways to extend the functionality of the device. Google Chromecast performs its function well. If you require a more centralized feel with a native User Interface, I would recommend a Roku. However, if that can be overlooked, Chromecast is a great value and flexible compared to similar devices. If interested, you can purchase either Google Chromecast device here. For information on saving money by dropping your cable subscription and still enjoying all your favorite TV shows check out these other ways to watch TV without cable.